When looking for facts an online encyclopedia is just what you need. 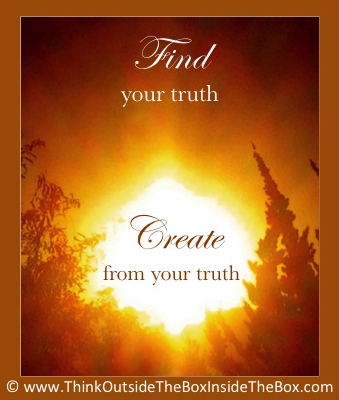 When searching for answers to what your own personal truth is all you need is you! Instead of searching for your truth outside of yourself—from other’s opinions of you, advertiser’s manipulation of you, your family’s expectations of you— look for your truth inside of yourself. What do you believe? What do you feel? What do you think? What is your dream? What do you want to create? What is your truth? Don’t go with the flow. Don’t cave to peer pressure. Don’t listen to what someone else says is your truth. Discover your own truth. Create from it. Looking inside ourselves can be one of the hardest journeys… I like the quote and photo you created here! Thank you so much for the lovely comment and for stopping by, Christy!